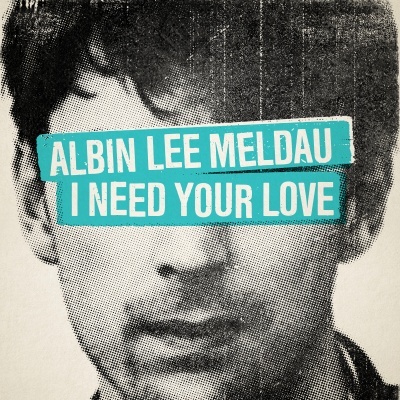 Albin Lee Meldau has released new single “I Need Your Love”, the latest track to be lifted from his recently announced debut album ‘About You’, which will be released on 1st June on Astralwerks. On About You those pipes of his connect a rich history of rhythm and blues—Al Green, Van Morrison—to contemporary innovators like James Blake, Sam Smith and Hozier. The music does that too, swelling from spare guitar or piano-backed ballads, to Ronson-like mashups of hip-hop beats and sweeping strings, to hands-in-the-air soul-soaked dance-pop. That's no doubt got a bit to do with Albin's collaborators: writers like Jimmy Napes (Sam Smith, Disclosure), DJ Khalil (Anderson .Paak), and Neil Ormandy (James Arthur), plus producers Bastian Langebaek (Jessie Ware, Jack Garratt) and Jamie Scott (Rag'n'Bone Man, Ed Sheeran). 2018 is shaping up to be a breakthrough year for Albin, the son of a Swedish jazz singer mom and a British punk rocker dad who hails from Gothenburg, Sweden. His debut album follows two impressive EPs that have already notched more than 30 million streams on Spotify. The UK buzz for Albin continues to grow with a BBC Radio 2 A-List add for “The Weight Is Gone,” and following his sold-out London show at Omeara, he is now in North America supporting Jessie Ware.